The Dubai Mall Fine Jewelry boutique is set to open again and here to celebrate it is Chanel that recently unveiled an exclusive limited-edition version of the Code Coco watch, only to be sold at the premier Boutique. In its pre-launch phase, the women?s timepiece will be available for purchase at the said venue for a year before it eventually launches in other stores across the globe. The opulent watch comes in a black ceramic avatar with a full paved dial and is wholly inspired by the 2.55 bag and its fabric that was originally created by Mademoiselle Chanel in February 1955. Its strap apes the bag?s iconic quilted texture and the watch clinks open similarly like its muse. The Code Coco showcases one princess cut diamond and black lacquered dials (with 52 brilliant cut diamonds) which move with high precision quartz movement and unlike as expected, its steel and black ceramic bracelet is lightweight and easy to carry. 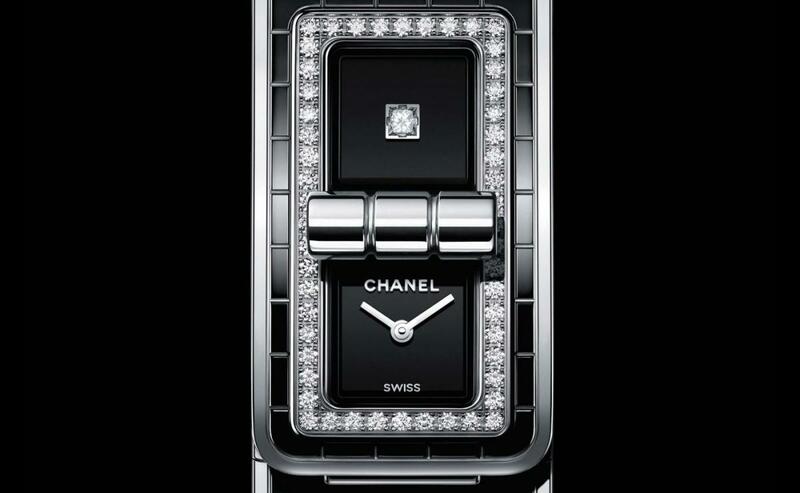 True to its name, the watch recreates the ever-renewing codes of Chanel is a new and contemporary manner. The exclusive timepiece is a delight for every lady and courtesy it?s design, can be worn in form of jewelry as well as to serve its original purpose. If you?re drawn to the Code Coco as much as us, head to the Dubai Mall Fine Jewelry Boutique to catch its first look and maybe buy it too if you can! The post Chanel unveils a pre-launch version of the Code Coco watch for sale in Dubai appeared first on Luxurylaunches.